Each ModdedZone controller is hand-crafted according to your custom order. We hand-test and hand-package every controller, ensuring that each controller receives the love and care it deserves. Our assembly process takes 2-3 business days unless Same Day assembly option is added to your order. Delivery time depends on the shipping method selected at checkout. We offer free flat rate shipping method that usually takes 3-5 business days. Business days are Monday through Friday. DO ALL MODDEDZONE CONTROLLERS COME WITH MASTER MOD? Each ModdedZone Ready-To-Go or Premium Edition controller comes with Master Mod that includes all 35 mods. If you are just seeking a cool, customized controller, you have an option to cancel technical modifications by clicking on “Without Mods” option at the customizer page. This will actually decrease the price of your custom remote! DOES MODDING AFFECT OTHER CONTROLLER FUNCTIONS? No. All other controller functions will work as they normally would. ARE MODDED CONTROLLERS undetectable ? Our modded controllers are 100% legal and undetectable. 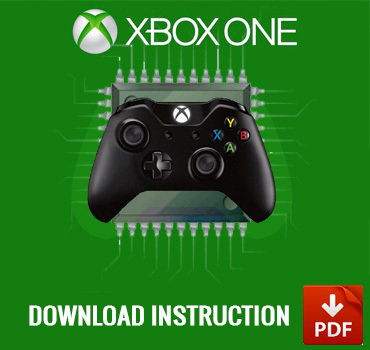 We use genuine Microsoft controller boards, meaning there are no issues whatsoever when using a modified controller on a gaming console. Microsoft is only concerned with modded consoles which allow people to play pirated games. WHAT IF A NEW GAME COMES OUT...WILL MY CONTROLLER WORK? Absolutely, ModdedZone controllers are intended for use with almost any first or third-person shooter game. With our exclusive adjustable rapid fire technology you won’t ever have to worry about your controller becoming obsolete as new games come out. Absolutely not! All ModdedZone controllers are fully undetectable online. There is no communication between LIVE and our modded controller. We use only brand new authentic Microsoft controllers. This issue is easy to solve. Simply insert your chat adapter at a slight-upward angle and insert it into your controller headset port. This may require a bit more force than anticipated, but please do not slam the adapter as that can damage the internal board. Make sure the adapter is entirely plugged into the headset port so your audio can be heard as you play in-game. Why won’t my headset adapter work with my ModedZone controller? My modded controller is not working. What should I do? 1. Move closer to your console. 2. Make sure your Rapid Fire speed isn’t set too high. Really high speed or even just a shot per second faster than the max can mess up your game-play. 3. Go into programming mode and do a master reset. 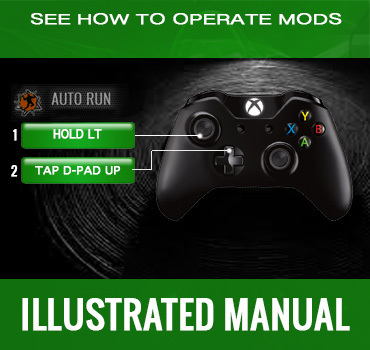 Or make sure you are in the correct mode for your game. 4. Check your battery(-ies), charging cable etc. 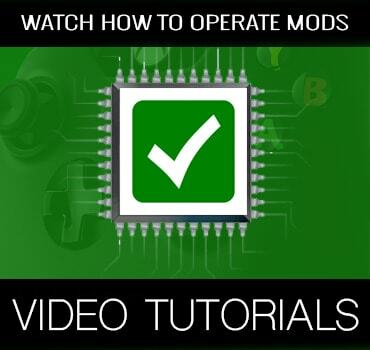 If you have tried all the options above, please contact ModdedZone customer service and one of our representatives will be happy to further assist you. Does My Controller Come With a Warranty? We offer a 90 day warranty on all our controllers. If 90 days isn’t enough, we offer an extended warranty (up to 12 months) for purchase with each ModdedZone controller. The extended warranty must be purchased at the time of purchase of the controller. Our warranty covers modchip, modchip installation and manufacturer’s defect in the controller. Warranty does not cover normal wear n’ tear or abuse. If for any reason your controller stops functioning or becomes defective within 90 days of your order date, please contact us to receive repair authorization number, and we will provide you with a prompt repair. If received and determined that the controller is in working order, the customer will be responsible for all shipping costs. What if I’m outside my Warranty? Can you still repair my controller? We will service your ModdedZone controller, as long as you own it! The cost of each repair or change is determined on a case-by-case basis, but most of our pricing is in line with the cost of the options on the website. If your main board is replaced, though, your controller is practically new again, and your 90 day warranty is renewed! Please contact us to receive repair authorization number, and we will be happy to provide you with a prompt repair. Your ModdedZone controller has a 14 day return period, beginning the day that you received it. If for some reason you have a change of heart and choose to return your ModdedZone controller, our customer service must be notified within the 14 day return period. The controller must be returned in like-new condition. ModdedZone has the right to charge a restocking fee for any product that is received and is not in like-new condition, although this is unlikely. The amount refunded is less all shipping costs. To inquire about a return please contact our customer service. Return authorization number from ModdedZone must be obtained prior to mailing in any merchandise for repair or return. Our goal is to do everything within our power to ensure you get what you need out of your controller and that all questions, concerns, and disputes are resolved in a timely and professional manner.